This week’s Pokemon merch news gave us one main announcement, but it’s super adorable so it’s okay! 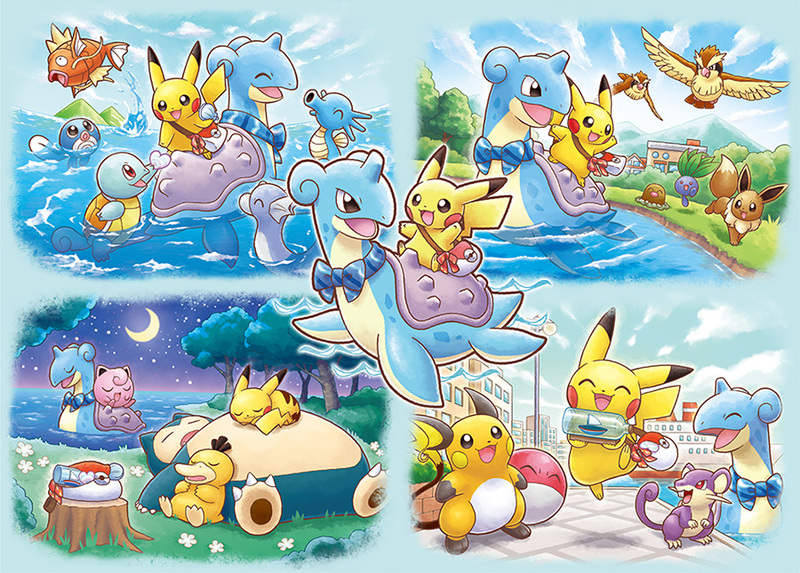 The theme for this promotion is Pikachu and Lapras going on adventures together all over the Pokemon world, meeting new friends, buying souvenirs, and just having a grand old time. Most of the items for this promo will go on sale at all Pokemon Centers and Stores in Japan starting April 14th (Saturday) but a special set of card sleeves will go on sale one week early on April 7th (Saturday). There are a bunch of releases for tomorrow (March 24th) at Pokemon Centers in Japan, including Easter, Ultra Beasts, Pokemon Center exclusive plush, and some surprise items (a mini Poipole promo and new Pokemon Center socks). I’ll have more information on these releases up as soon as I can.